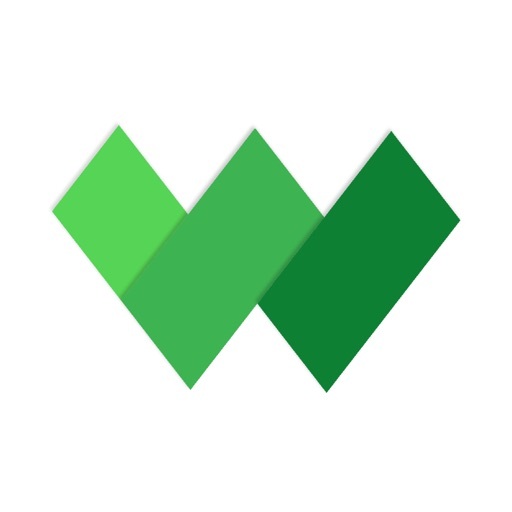 Add notes and other entries to Evernote in a snap with SnapWriter. 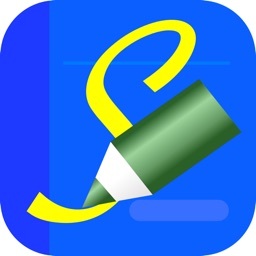 SnapWriter is a quick app to adding and editing your notes in Evernote. 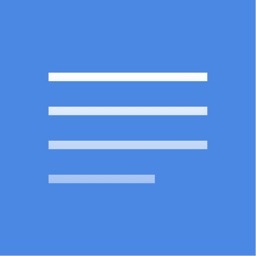 Launch app and type your note instantly where you left off. It is an ideal for diary, journal, life log and checklists. 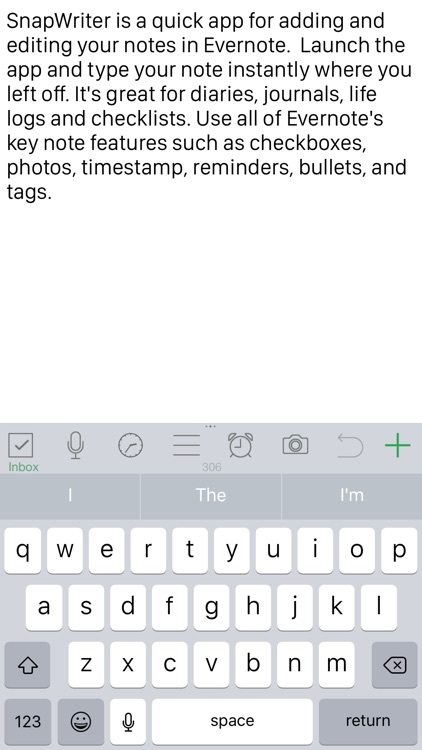 Add checkboxes, inline photos, timestamp, reminders, bullets, tags and select notebooks. It’s ideal for those who rely on Evernote. If you don’t utilize Evernote, the value of SnapWriter will be lost on you. 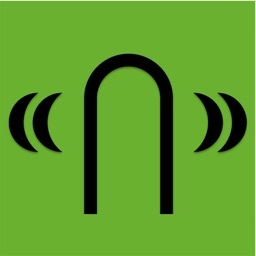 Its deep integration with Evernote is what sets it apart from other note taking apps. If you’re constantly sending notes off to Evernote, give SnapWriter a try. 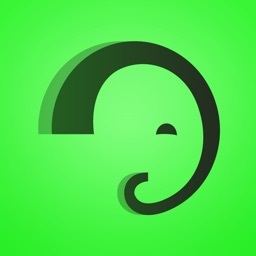 It’s the perfect front end to Evernote. Quick and reliable note synchronization between devices using Evernote. 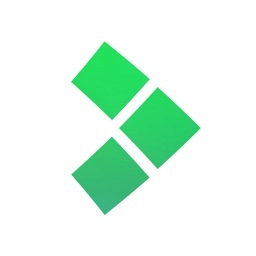 The app doesn't sync all Evernote notes, but those you chose or create. Import any your note from Evernote using UI or by just adding 'SnapWriter' tag to the note.